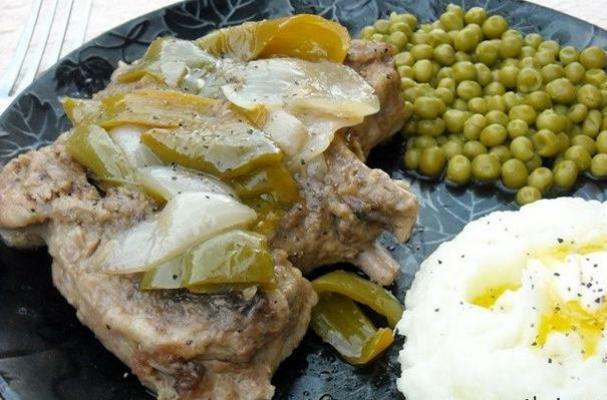 These smothered pork chops from Mommy's Kitchen are ideal for a Sunday supper. If you are looking for a relaxing and stress-free meal, this is it! The pork chops are so tender, you can eat them with a butter knife and the sauteed peppers and onions add another delicious layer of flavor. Serve these smothered pork chops with roasted broccoli and fluffy white rice.